Bach / Beethoven / Rzewski – Igor Levit Attacks Goldberg and Diabelli – Wow! The classical music scene, like all other entertainment industries, likes hypes. Quite often those are a bit fabricated, and at a closer look tend to disappoint (sorry, Lang Lang), or their presence in the limelight is very short-lived just to be replaced by the next wunderkind. And I’m afraid, the big classical labels have their share of the blame (well, they have to sell their stuff, too). That said, in this long list of young stars and starlets, every once in a while you’ll find a true artist. I’ve already written about Rafal Blechacz and Benjamin Grosvenor, both of which will end up in the pantheon of the best pianists of the 21st century, I’m willing to be a lot of money on that. My third name in the triumvirate of 21st century giants is Igor Levit. I’ve already praised his outstanding partitas here, and his first album, the late Beethoven sonatas, is also exceptional. Levit was born in Russia but moved at the age of 8 to Hanover, Germany, where he lives to this day (why somebody would stay in what is probably the dullest city in Germany escapes me, but at least nothing there distracts him from practicing, which is good for the rest of us). He has now released his third album, a massive 3 CD affair (or what used to be 3 CDs in the pre-download area). It takes some guts to start your recording career on nothing less than Beethoven’s late piano sonatas at the age of 26. Well, with his latest release, he doesn’t attack only one, but two of the absolute summits of the piano repertoire, the Goldberg AND the Diabelli variations. So will he lose his breath in this Himalaya? I’ve already shared my preference on both (see here for the Goldberg’s and here for the Diabelli’s), so how does Levit compare to Hantaï, Schiff, and Staier? Well, let’s make it quick: this is yet another outstanding album. His Goldberg’s are really among the best I’ve ever heard on modern piano. All you Gould lovers out there, check this out! Really. You may miss Glenn’s humming, but honestly there is nothing else to miss here. Levit plays with astonishing precision, but at the same time you just hear every note is just there, just at the right moment, with just the right weight. This immediately becomes my go-to version on modern piano (although I still prefer harpsichord here, so will remain loyal to Hantaï nevertheless). Now to the Diabelli’s. I’ve already given my preference with Schiff’s ECM recording and Staier on pianoforte. And now I immediately have to add this recording to this list. Again, what wins me over immediately is the precision and timing. And don’t get me wrong, just because I mention precision so much doesn’t mean this is heartless robot playing. To the contrary. Just to quote some examples: On the slow variations 14 and 20, time just seems to stop. For a moment you are in a different time and space. Absolutely absorbing. Or take variation 21. moving from fast to slow all the time, which on some recordings can make you feel a bit sea-sick. Not here, any tempo change just comes along completely natural. You get a glimpse of his virtuosity in the breathtaking speed of variation 27. But Levit is anything but your classical virtuoso, he uses his outstanding technical capabilities only for purely musical purposes, never to impress (although I’d be very curious to hear Levit eventually moving away from Bach and Beethoven and attack Rachmaninov et al, unfortunately he’s already said he doesn’t want to play Chopin as Blechacz does it so well). I’m not going to comment on the Rzewski, I’m just completely incompetent to add any meaningful comment to any music that goes beyond traditional tonality. That said, this piece has enough moments that make me want to listen to more, which is more that I can say about a lot of other 21st century classical music. So, overall, yet another absolute must have album from Levit. UPDATE Nov 6, 2015: Gramophone agrees with me and gives this album a “Recording of the Month”. UPDATE Nov 29: My other preferred classical review magazine, Classica, is also pleased and gives this recording 4 stars. Author MusicophilePosted on October 11, 2015 November 29, 2015 Categories *****, Album Review, Classical Music, Frederic Rzewski, Johann Sebastian Bach, Ludwig van BeethovenTags Bach, Beethoven, BWV988, Diabelli-Variationen op. 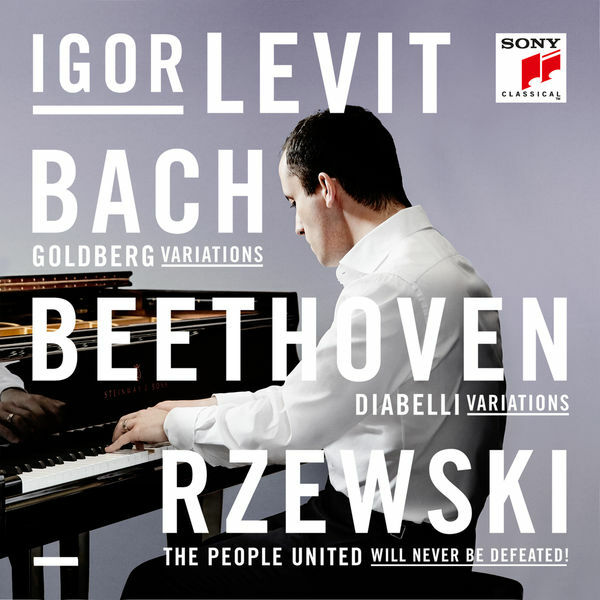 120, Goldberg Variations, Igor Levit, Rzewski, Sony Classical, The People United Will Never Be Defeated27 Comments on Bach / Beethoven / Rzewski – Igor Levit Attacks Goldberg and Diabelli – Wow! Following up to my own post on the Diabelli variations and the addendum with the input from Classica here, now my other favorite classical music magazine, Gramophone, in their recently released August edition, has tried to identify the best version of the Diabelli-Variations. 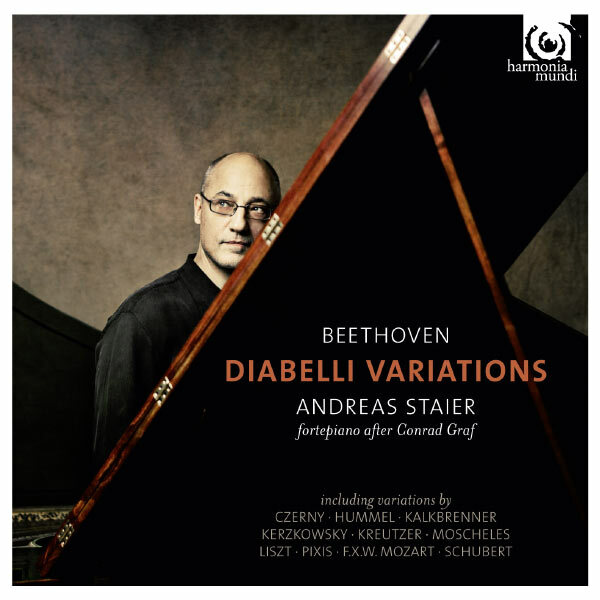 I’m glad to report that my personal preference, Andreas Staier, gets a special mention as “Period-Instrument Choice”, and therefore one of the four recommended versions out of more than 80. Staier’s ECM also gets a honorable mention. A live recording from Rudolf Serkin gets the “Historic Choice”, Olli Mustonen’ RCA recording get’s the “Iconoclastic Choice” (the recording is on Qobuz streaming, so I’ll check it out later). But their top-choice unfortunately is on the Onyx label, which is more restrictive on streaming, so I haven’t heard it yet. It is the 2008 recording by Stephen Kovacevich. Given that he started his career with this work in 1961, I’m not too surprised about this choice. Worth checking out, and on my list to purchase in the near future. As a quick addendum to my previous post on the Diabelli variations, when I opened the latest issue of the French magazine Classica on my iPad today (a bit late, it came out several days ago), I was pleased to discover that they dedicated their monthly blind test column, where their review staff compare 8 versions of a given oeuvre blindly, and ranks them, to just this work. I usually have a large overlap in taste with Classica, so I was a bit surprised to see none of my two recommended recordings even mentioned. But then I read it in the text, “les pianofortes atteignent leur limited“, the fortepianos reach their limits. Interesting, so Beethoven composed something that couldn’t have been played on the instrument he was used to. To be fair he was deaf at that time, but this is still an interesting conclusion. But ok, let’s see where they take it from here. Well, their recording that is leading the pack is a recent recording on the label Naive played by the French pianist Laurent Cabasso. Well, the French press, very much like the English, has a certain patriotic tendency in their reviews. But remember, this is a BLIND test, so let’s assume they haven’t cheated. I obviously had to listen to it immediately, and luckily my streaming provider, Qobuz, has the album available. My conclusion remains the same, I’m personally much more touched by the fortepiano versions than by this admittedly very good, but not outstanding recording (4 star on my personal rating scale). So if you prefer a modern piano, you may want to check this version out. But if you do, also compare it to the much more extremist (in a positive sense) Sviatoslav Richter (FYI, no. 5 in the Classica ranking). Otherwise, Schiff and Staier are a must on your playlist. P.S. Gramophone has done a similar comparison in their August 2015 edition, you’ll find a summary here. 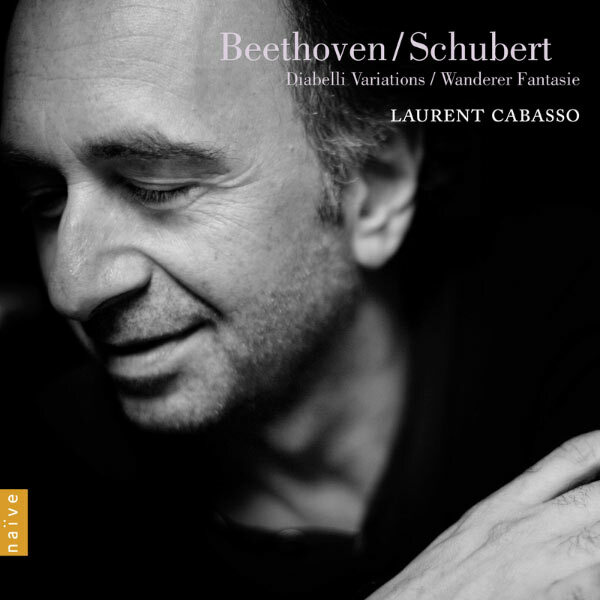 Beethoven: Diabelli-Variations – an acquired taste? Beethoven. You could be saying that I’m really trying to tick off the famous “great Three B’s” first. How creative of me. Well, while the general consensus doesn’t get everything right, there’s a reason why the three B’s are so important. And in any case, I probably wasn’t mean to be a rebel to tell the establishment they got it all wrong. Back to Ludwig van. I’ve been a fan, like forever (excuse me for sounding like an over-excited American teenager). The symphonies I can never never never get bored with (except, as already mentioned before, the ninth, which somehow escapes me). His piano sonatas are amazing and cover his entire spectrum from something that sounds like young Haydn (and were not surprisingly his op. 2) to the extremely well-known sonatas in his middle period, many of which got their reputation due to their nickname (from Mondschein to Apassionata), to the late works (op. 109 to 111) which are anything but immediately accessible for the average listener, including me. But let me talk about the Diabelli variations today. They are probably not as well known as their famous variations older brother (Bach’s Goldberg), but still are seen by most experts as an absolutely masterpiece. And let me admit: until recently, I just never “got” them. I tried again and again with the small handful of versions I had (including Brendel nevertheless), and nothing ever stuck, I just never really fell in love. Until recently. Two and a half versions (I was tempted to do a Charlie Sheen joke here) of this, and very repeated listening, changed my mind. Disc 1 (if in the times of computer audio it still makes sense to speak of discs) contains a recording on a 1921 Bechstein grand. This version really opened my eyes for the beauty of the Diabellis. 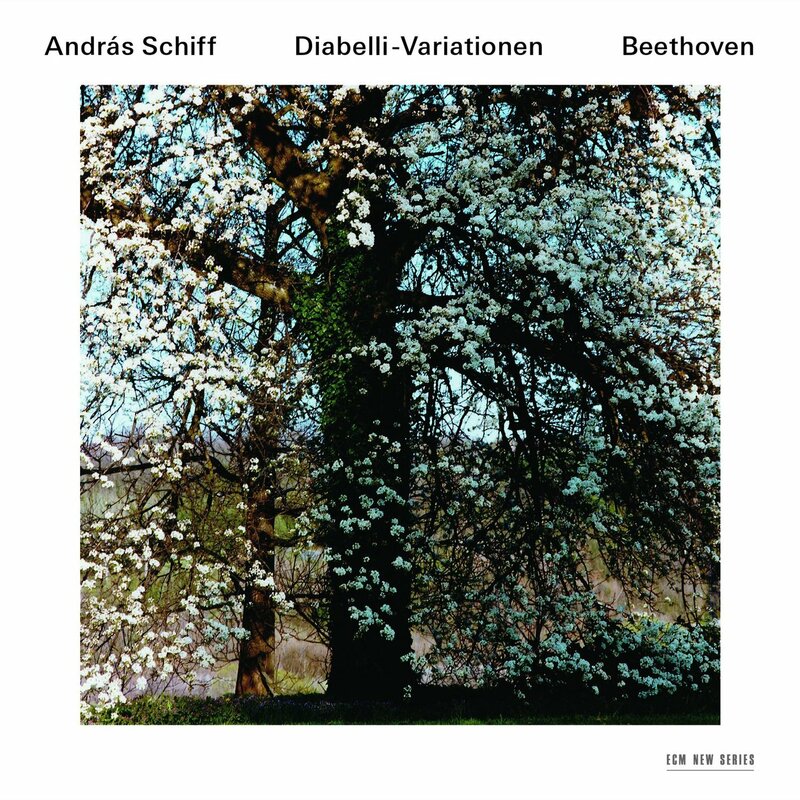 Disc 2 contains the same piece again, played this time on a fortepiano from Beethoven’s time. I recently started enjoying the fortepiano more and more (thanks to great pianists like Roland Brautigam, Kristian Bezuidenhout), as not only “it sounds like Beethoven would have heard it” (if he wouldn’t have been deaf by the time this was composed), but also it gives a totally different degree of transparency. But when we get to the fortepiano, there is another version I prefer even more, from an artist with pretty much the same first name: Andreas Staier on Harmonia Mundi. Andreas Staier is a German fortepiano and harpsichord player, and I have yet to find any recording of him that seriously disappointed me. This has been recommended by several people I usually trust well. But because of my scepticism until recently regarding the Diabellis, I only got this version some weeks ago. What a mistake. It is just amazing. Luckily for us, both versions are also very well recorded (you can usually trust both ECM and Harmonia Mundi to get that part right), and are available as high-res downloads. Check both out, you won’t be disappointed. P.S: I just discovered this interesting article from Nick van Bloss describing his recording the Diabellis on Gramophone’s blog. I haven’t checked out his album yet, but his description and approach are certainly worth reading. P.P.S. If you prefer a modern piano reading, read my addendum I just published. P.P.P.P.S: Igor Levit has recorded another outstanding alternative on a modern piano. Please let me know if I missed any good version out there, I can certainly live with more! Author MusicophilePosted on May 28, 2015 October 22, 2016 Categories Classical Music, Ludwig van Beethoven, Piano WorksTags Andras Schiff, Andreas Staier, Beethoven, Diabelli-Variationen op. 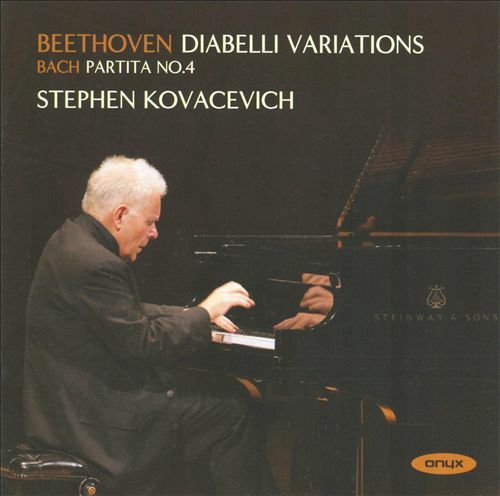 120, EMC, Harmonia Mundi15 Comments on Beethoven: Diabelli-Variations – an acquired taste?